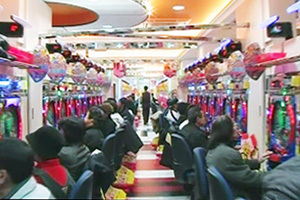 The pachinko business is part of the amusement industry. Amusement is what people seek next to food, clothing and shelter. In advanced countries,where the basic infrastructure for life is fully developed, the amusement business is in demand as people seek opportunities to play. Pachinko is one of the most familiar forms of amusement to the Japanese people. With easy accessibility and high amusement value, pachinko is a favorite pastime for the Japanese people and attracts more enthusiasts than other leisure activities such as sports, sightseeing, outdoor amusement activities and hobbies. 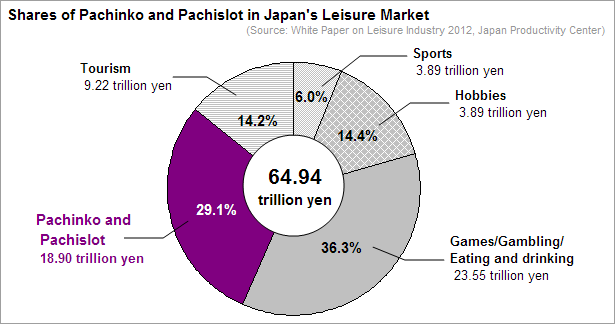 According to “White Paper on Leisure industry 2012”, that market’s total value is presently about \65 trillion.The scale of the Pachinko and Pachislot market accounts for roughly 29.1% of the leisure market, revenues of 18.90 trillion yen. To ensure the continued growth of the pachinko business, which already has significant market scale in Japan’s amusement industry; new avenues for amusement must be provided by enhancing the quality of amusement and providing innovations in pachinko game machines and facilities. At the same time, new systems or environments must be established to make pachinko accessible to more people. In the belief that the growth of the pachinko industry as a whole leads to its own growth, Daikoku Denki endeavors to expand the fan base for pachinko to ensure the industry’s further development. You start off with buying some small steel balls that you are going to fed the machine with; usually it’s about 4 yen per ball. You put your pachinko balls in the machine and then it starts. The only thing you have to do is to control the speed that the pachinko ball is thrown into the pachinko board using a handle. 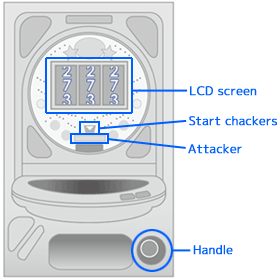 The pachinko board consists of pins and gates, and the goal is to get the balls into the gates (Start chackers/Attacker). It’s a bouncy ride for the balls that usually ends up in a hole in the bottom and disappears into the machine. But if you get a ball into a gate, then you’ll get rewarded with more balls and also get to watch a colorful video slot spin like animation on a LCD screen that can give you a jackpot or “fever” mode, which is the highest payout mode. 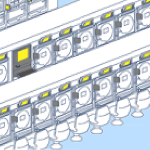 There are also several other modes that can be accessed depending on which machine the player is seated at. Once in a higher payout mode, the player usually gets more balls from the gates. You should also know that there are many different pachinko machines that vary in decoration, music, modes, gate settings etc.You can take your balls to the pachinko parlor’s gift shop and exchange them for prizes.